An IPS tag is the label that applies to any registrar that registers .UK domains. While there’s no Auth/EPP code for these domains, an IPS tag change is required to transfer .UK domain names from one registrar to another. If you would like to transfer a .UK domain to DW Domain, you must request that your current registrar change the IPS tag to ENOM before placing the transfer request. 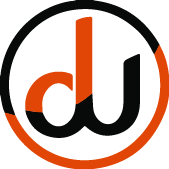 Sign in to your DW Domain account. Click Manage next to the domain you want to transfer out. Go to Sharing & Transfer tab. In the Transfer Out section, click Change. Complete the form and click Save Changes. Please allow 24-48 hours for the changes to take effect.